As another Summer season draws closer, it is important to understand how heat affects our bodies, especially amongst our elderly population. With every change to our bodies, the need to reasses and reevaluate what we are and are not doing becomes more and more needed. 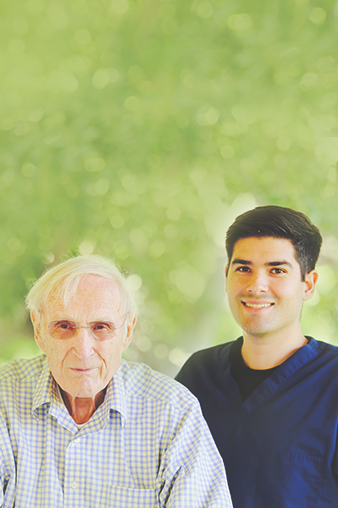 This is where an in home caregiver can help assess and provide support in adjusting to life at home after a hospitalization or injury. As the body ages, it requires more care and awareness from its owner. As we enter the summertime months it is important to know how weather can affect our body. Dehydration is a common problem, but it’s a more complex issue in seniors than people may realize. Medications and other external factors can impact our overall health. However, because each person is different, it doesn’t necessarily mean having to completely revamp the lifestyle of someone in care services. Dehydration stems from a lot of reasons, so it’s good to understand where the weak spots are to have a better idea of how to prepare a senior in-home care. Besides general illness, vomiting and diarrhea, one common problem is that seniors tend to take more medications. Many times seniors living at home are prescribed diuretics. This can cause those receiving in home care services to sweat and lose water rather quickly. Seniors may often have a decreased sense of thirst as well, which can make the concept of remembering to drink water a problem. Those in home health care seniors may also avoid getting up to get water due to pain or discomfort when on the move. Kidneys may lose their functionality as well, which can make retaining the fluid in a body much harder to do. A caregiver can help with these Activities of Daily Living such as toileting and bathing to help a senior stay safe at home. Dehydration is caused when the normal amount of water in the body dips down (even a small amount), but everyone’s ‘normal’ is different. 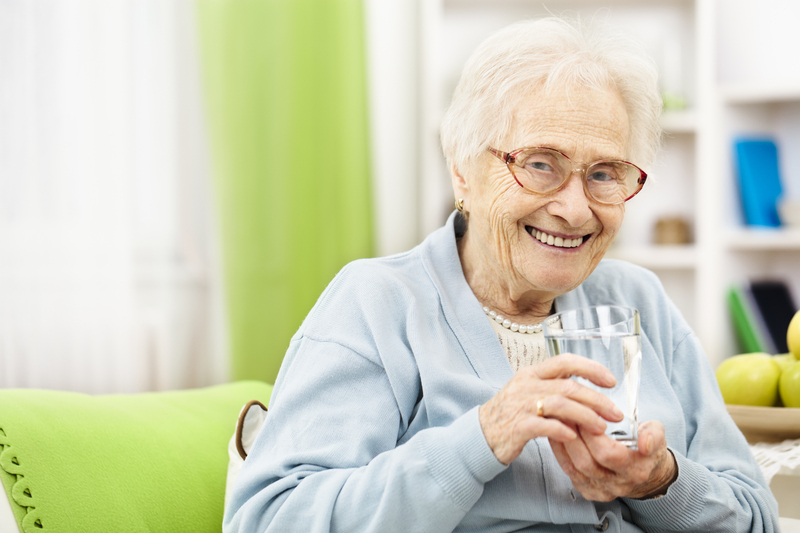 In home caregivers can help monitor how much a senior in home care is drinking to measure their water intake. For a senior in home care, they may not need to drink 8 glasses of water a day (a figure that most people likely already know is incorrect.) A senior can get hydration in the form of general fruits and vegetables, or cold water-based soups. An in home caregiver can take a look to the diet of someone to ensure that they’re staying hydrated. If the senior in with in home health service enjoys coffee or even beer, it’s not necessary to cut those out of their life completely. An in home caregiver can monitor caffeine and alcohol to help ensure they are consumed with caution. Because there’s no one simple remedy, it’s useful to keep track of a person’s weight. In Home Caregiver can help weigh a person on a daily basis and keep a log of their weight. A loss of weight in the form of one to two pounds from one morning to the next can be a sign that the person is dehydrated. A 2% loss in weight is generally characterized as mild dehydration whereas 4% would be considered severe. Dehydration can cause disorientation, heart and renal problems as well. A senior in home care who is active and exercises daily will likely be keeping their hydration levels up on their own, but weighing someone in the morning may be necessary for those who may be weakened by heart troubles or other illnesses. 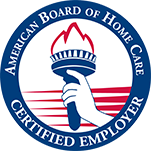 Signs may be difficult to spot for those who receive care from a home health agency, which contributes to the fact that it’s a major cause of ER visits, and can even be life-threatening if it goes unspotted for too long. Care To Stay Home makes it our mission to understand and spot the common problems that seniors today face. For those who need care service, we recommend either calling us or learning more about our methods today.